The top of boyfriend birthday gift ideas! This woven bracelet is an unisex bracelet that will fit perfect to men and women. 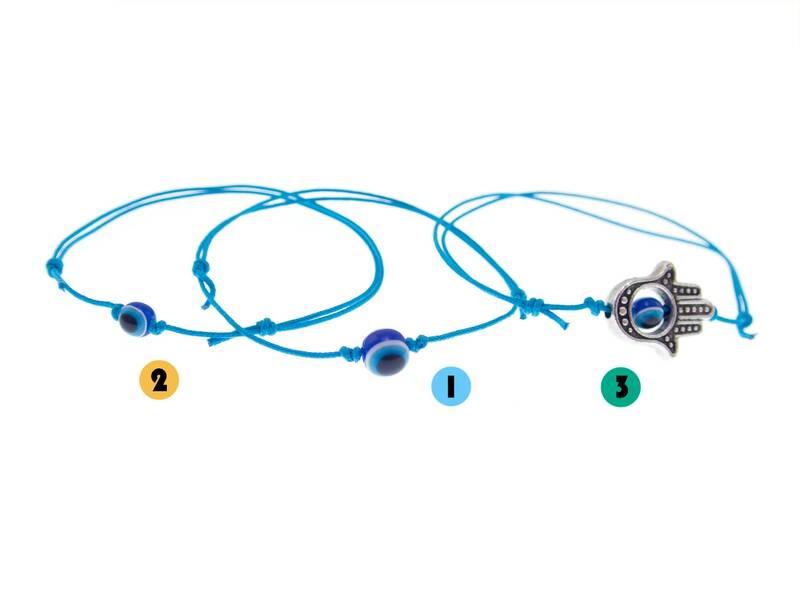 It is part of our string mens bracelets collection for this season. 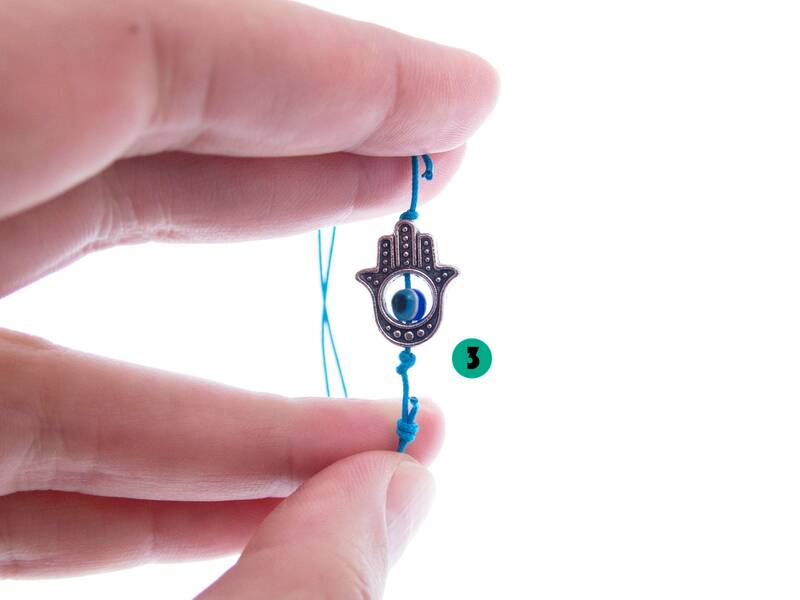 We created it of tiny turquoise blue synthetic rope, a metal Hamsa (hand of Fatima) bead and an Evil Eye glass bead. One size fits all! Its length can be adjusted when you slide the knots. Every man and women will love it, once he / she wears it. It is very lightweight, stylish and good looking. 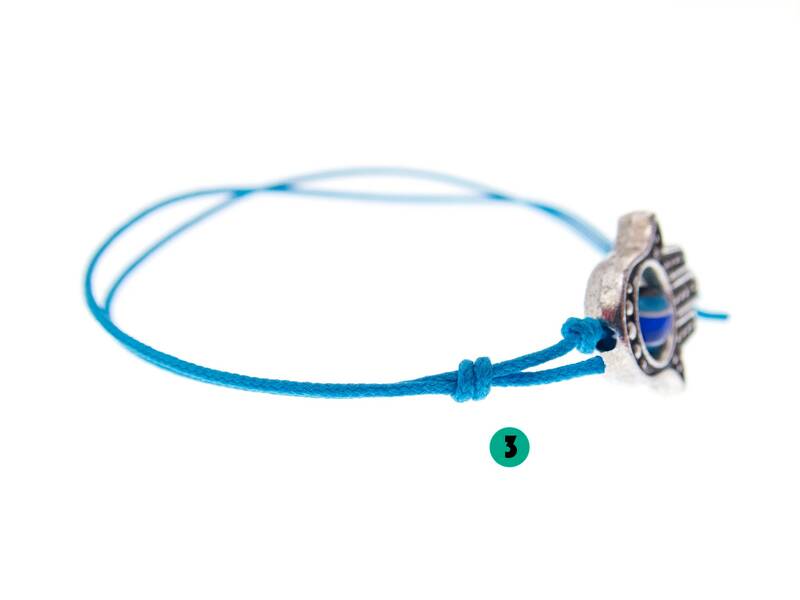 The spiritual Hamsa bead is made of metal. On both of its sides it looks the same. 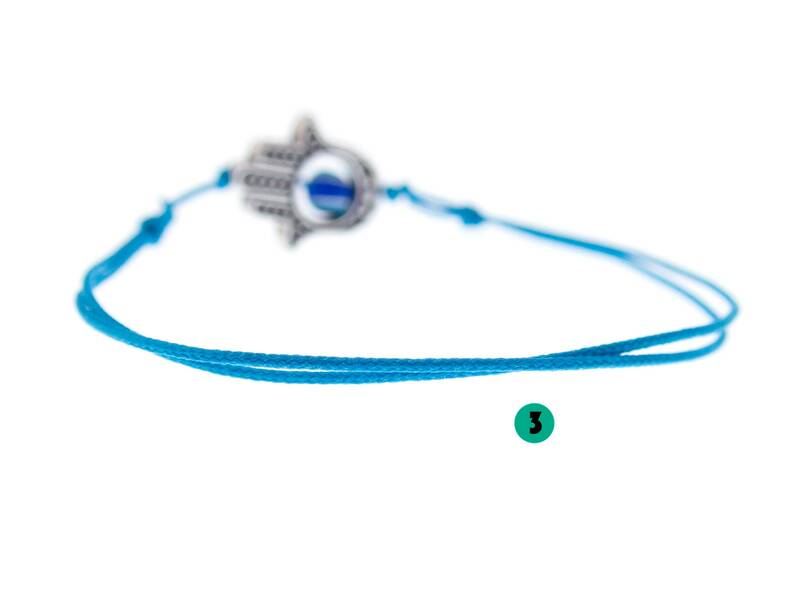 * 3 With nice detailed Hamsa (hand of Fatima) amulet talisman bead and the small eye in it. * This is unisex bracelet. 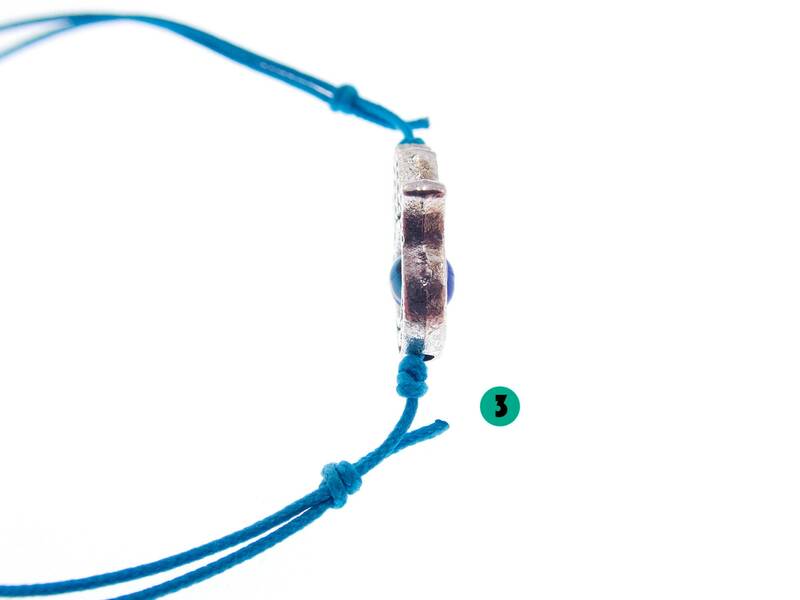 The perimeter of this woven bracelet can be adjusted from 13 cm (5 1/8") to 23 cm (9 1/16"). 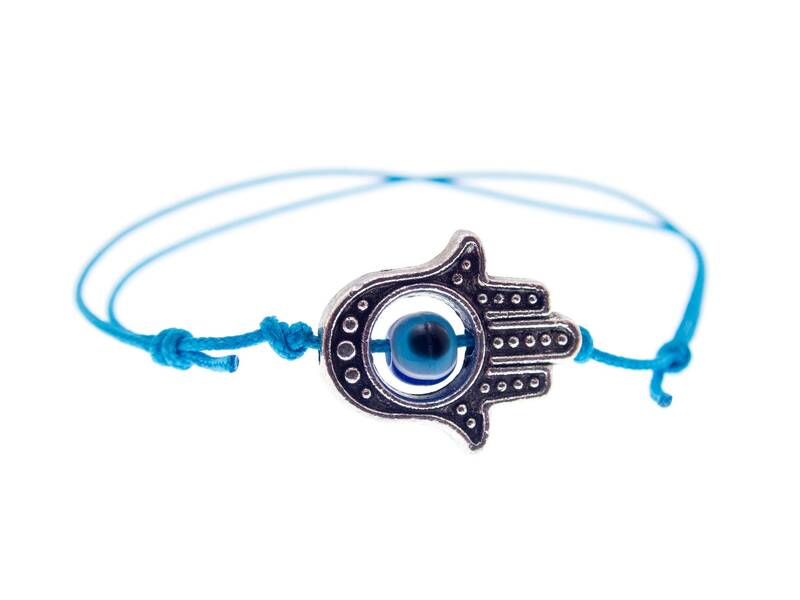 * The Hamsa is metal zinc bead, looks the same in front and back.